It’s like a color run with food instead of running! 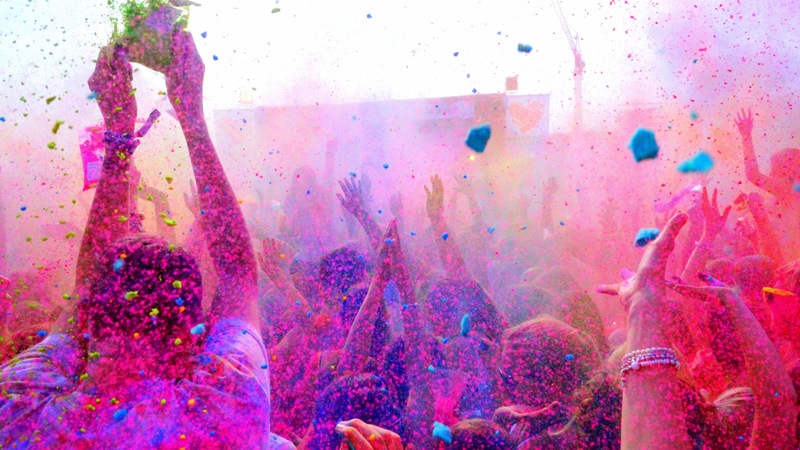 Holi is an ancient Hindu festival that celebrates the advent of spring. It occurs each year around the spring equinox. The legend behind Holi is the story of a prince who is rescued by Lord Krishna from his arrogant and evil father. The king’s wicked sister tries to burn the prince, but she ends up being consumed instead. As the story goes, people put the ashes from the fire on their heads. Today, Holi is celebrated with a party in which participants throw colored powder on each other, eat special food, and drink. Hindus as well as non-Hindus participate in Asia and around the world. Celebrating Holi Sint Maartin-style means a party of on the beach, of course! The South Asian Medical Student Association at AUC hosted Holi at Mullet Bay. 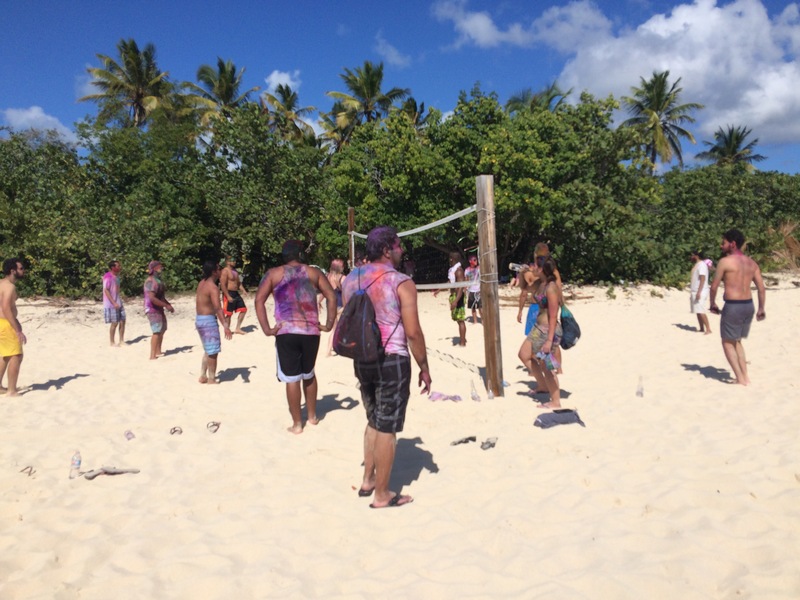 After the colored powder ran out, everyone played a game of beach volleyball. According to some of the participants, the colors did not wash off in the ocean. I’m looking forward to seeing whether shampoo takes it out or if some of the med school students will have tie-dyed heads for a while.